Cookies and ice cream is a great combination: not only because it is tasty, but also because the cookies tend to improve the consistency of ice cream. 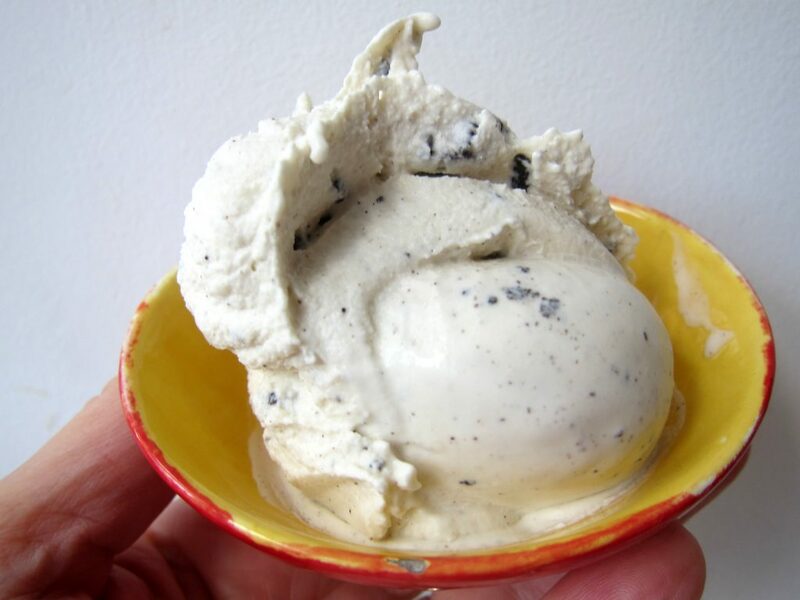 Today, we will match a creamy, American-style ice cream base with Oreo cookies. Read on! 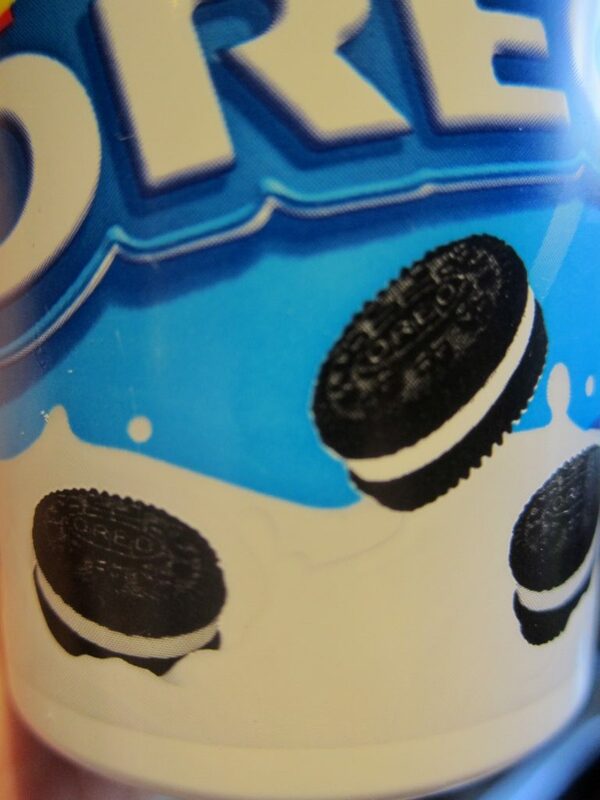 Oreo cakes were introduced in the US already in 1912, and is nowadays slated to be the US best-selling cookie. Clearly, it would be appropriate to match such an American success story with an American-style creamy base. No eggs. No cooking. 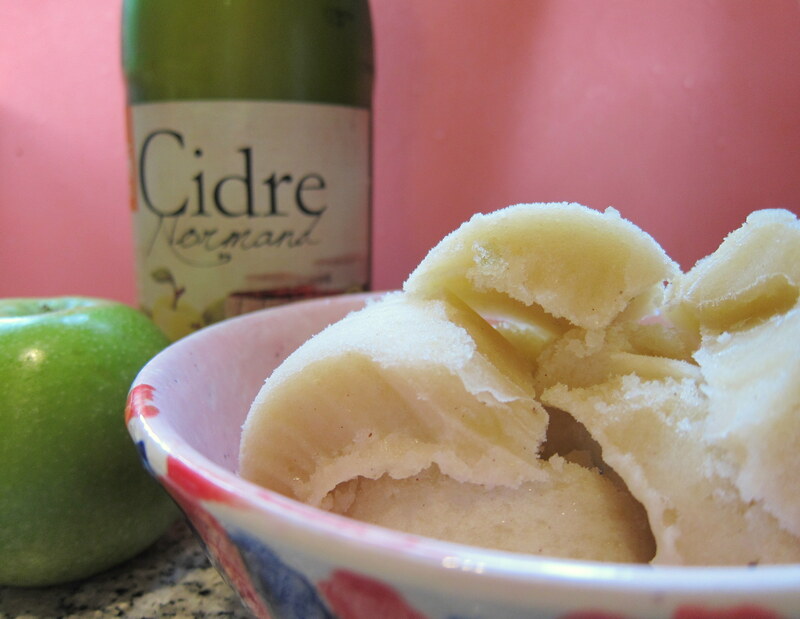 All we will do is mixing ingredients straight from the refrigerator, then churn the result in our ice cream maker. As usual, those who do not have access to an ice cream machine can still make ice cream by still-freezing the base, using the kitchen freezer. Go here for more details on how to do that best! 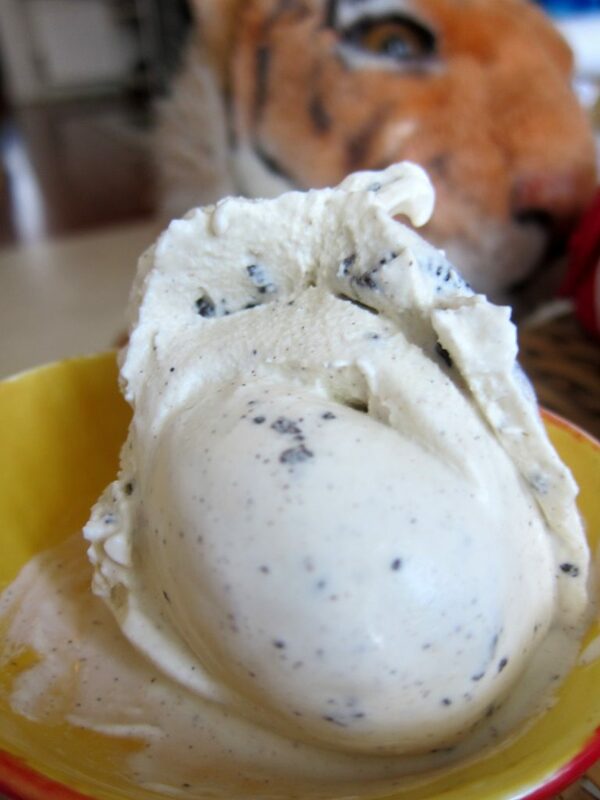 As avid readers already know, American-style/Philadelphia-style ice cream rely on cream for its consistency. Normally, there would be no eggs involved, and this recipe sticks to this classic position. Still, you should know that iconic ice cream makers Ben & Jerry in their American style-“home recipes” do not mind adding a raw egg into the mix. If you do, the consistency might well improve even further – just keep in that raw eggs could be a health hazard. 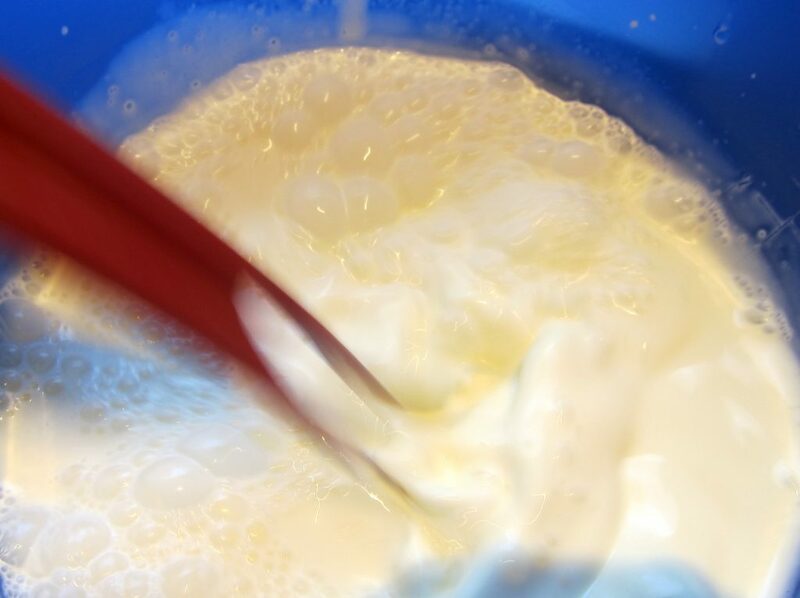 If you want to play it safe and do not live in a country where the eggs generally are considered “safe”, you would be advised to cook the base in such a way that the mixture becomes pasteurised. Since it is important to keep the ingredients cold from the start (to shorten the freezing time, thus getting better ice cream quality) make sure that you have put not only your cream and your milk in the refrigerator, but also the cookies you intend to add! As for the sugar, remember not to overdose – keep in mind that the cookies also contain sugar! Mix the cream, the milk and the sugar together. Once the base has been prepared, we will churn it in our ice cream maker until nearly finished – only then we will be adding the cookies! Why not before? Simply because the cookies then would “sink to the bottom” – something which won’t happen if you add them late in the process. Cut the cookies in rough, not too small pieces, suitable for the ice cream. Remember: The cookies should preferably have been chilled in the refrigerator before being added. Also, do remember to cut them in rough and suitably smaller pieces too. The ice cream base is almost finished – time to add in the cookies! 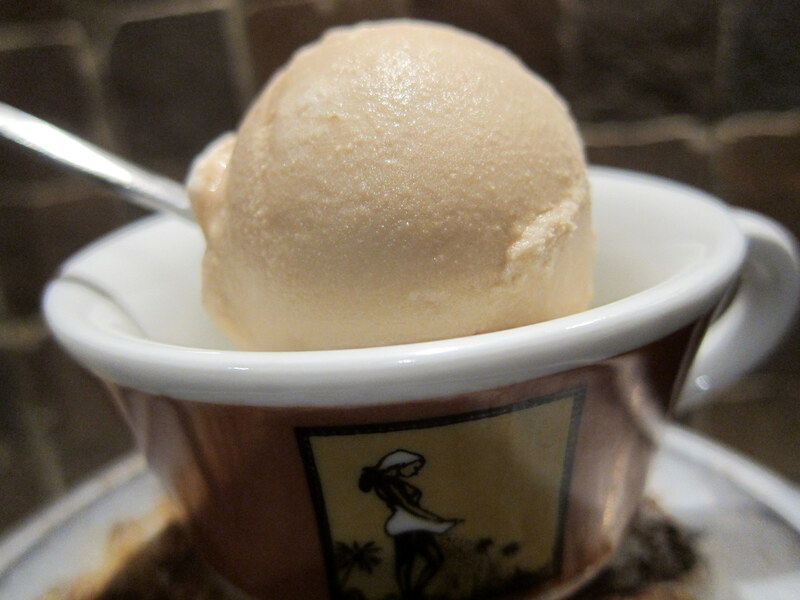 The American style-ice cream may be simple, and some aficionados may frown upon that. Personally, I think it is a great base: not only is it extremely simple to make, but it is goes exceedingly well together with fresh fruits and cookies! 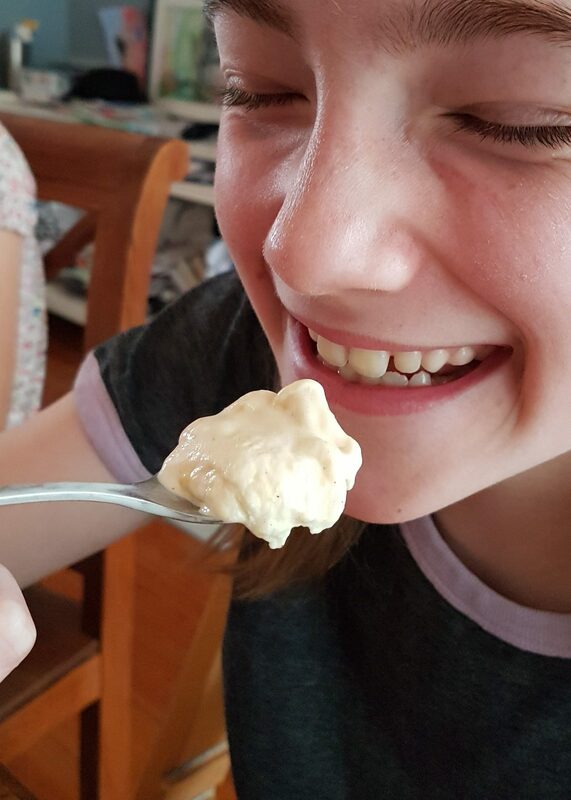 My kids, acting as test panel, gave the Oreo cookie ice cream a big thumbs-up. If you also like cookies, I think that you too would like this creation! 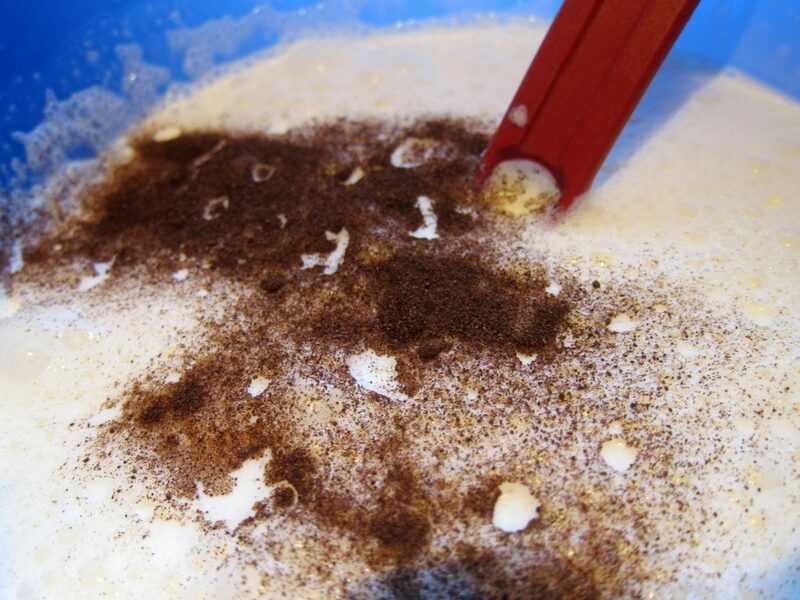 Mix the cream with the milk and whisk in the sugar and the vanilla. 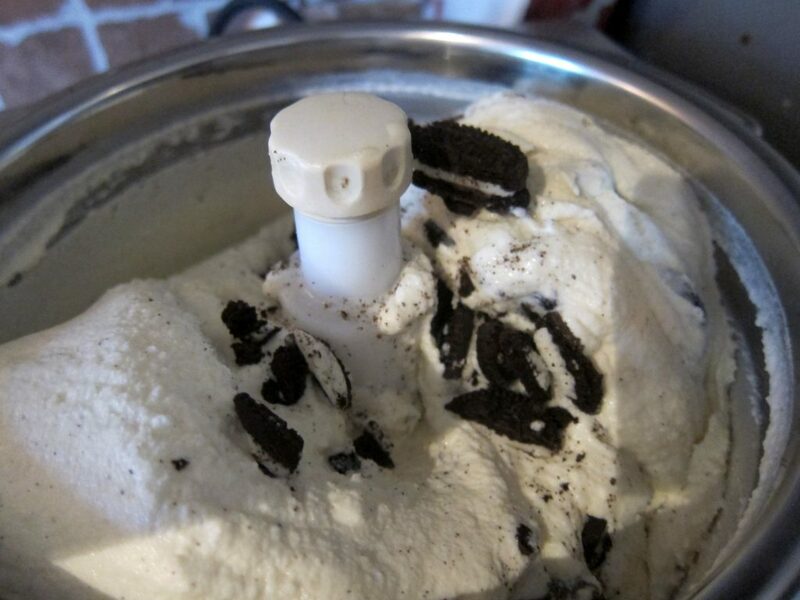 Freeze in your ice cream maker until almost ready, then add the (preferably pre-refrigerated) pieces of Oreo cookies and continue to churn until finished. Serve at once, enjoying the freshness, or store in the freezer until later. 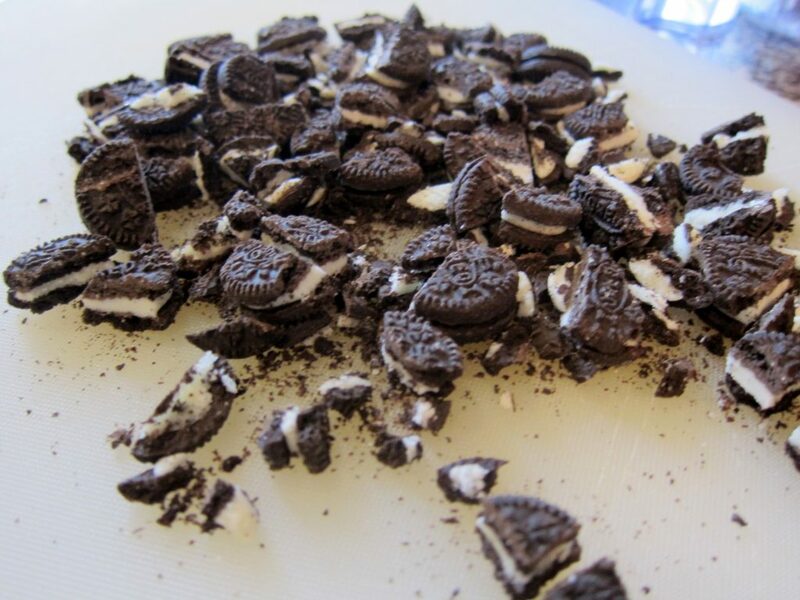 If still-freezing the ice cream (using only your freezer and no dedicated ice cream machine) make sure that the ice cream has stabilised until almost-ready before mixing in the pieces of the Oreo cookies.